LeSportSac “it’s a small world” Bag Contest starts Sunday! Hello everyone! 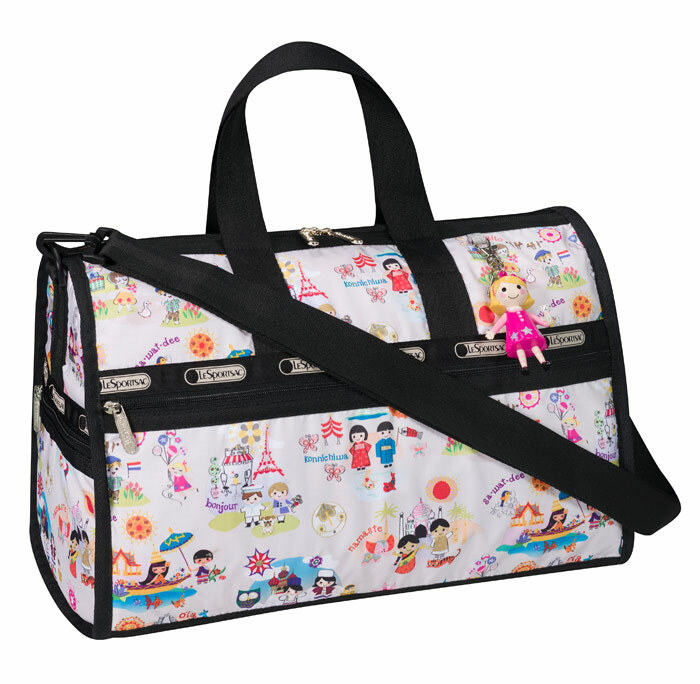 My Dreams of Disney is teaming up with some great blogs to offer up one of the new LeSportSac bags! This one is the “it’s a small world” version, and comes with it’s very own Mary Blair charm! This bag retails for $138, but for one lucky winner, the retail cost will be Free! However, to win, you’ve got to enter, and to do that, you’ll want to complete the Rafflecopter entries below in order to get the most chances to win! The contest will run from May 5th – 11th, 2013, and the winner will be selected on Mother’s Day, May 12th, 2013! This contest is brought to you by the following great blogs, stop by, say hi, and thank them for hosting this great contest! Good luck, everyone, make sure you complete all the entry requirements so that you will have the best chance to win! For Day 47 in our Countdown to Disneyland series, today we are taking a look at one of the most iconic attractions in Disneyland: Dumbo the Flying Elephant. This incredible attraction has been a favorite of generations of children because it immerses them into the story of the movie Dumbo, that classic Disney movie that was released in 1941. What children — and some parents, too — like about the attraction is that they feel like they are riding on the back of Dumbo, able to soar up, up and away with their friend Dumbo! With Timothy Q. Mouse prominently displayed in the center of the attraction, the imagery is complete. In addition to bringing themselves into the movie, this is one of the attractions that gives the kids the ability to control what their personal Dumbo does! Will you climb up as high as you can, or will you soar closer to the ground? It’s totally up to you! In the center of the attraction sits an authentic Gavioli Band Organ that was built in 1915! This unique organ, which is also known as a fairground organ, is able to represent many different instruments and plays a collection of fun songs while you ride Dumbo. It is the little details and attention to quality that makes Disney attractions better then any other attractions at any amusement park in the world! Dumbo the Flying Elephant at Walt Disney World in the Magic Kingdom is notorious for having long lines, although I’m not sure if that is still the case with the “Dueling Dumbos” that the Magic Kingdom now has. I will find out when we get there how long the lines get at the Dumbo in Disneyland Park, but before then, please tell me — do you ride it or do you skip it, and if you skip it, is it because of long lines or some other reason? Please let me know in the comments, and thanks for stopping by!